Did you know that Billy Graham shared the gospel with over 200 million people in person? This doesn’t count his internet, TV and radio influence. Do you know the story of how he came to know Jesus? As a teenager he was bored with Christianity, but he had a friend named Albert McMakin who invited him to see a traveling preacher. His friend told him that he thought there would be a protest because this preacher had been calling out a lot of the behavior going on. Billy thought, “That sounds interesting.” Albert let Billy drive his milk truck to cinch the deal. 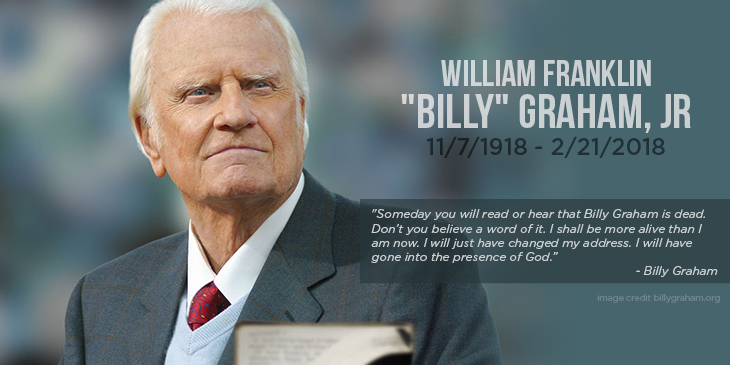 Billy Graham went and his life was forever changed. If you are in a place where you are overwhelmed with even the thought of spreading the gospel to 200 million people, know this. Not everyone will be Billy Graham. But everyone can be an Albert McMakin. All he did was invite one friend. Who can you invite today?